What is the difference between “wanting” to do something, and being “willing” to do what it takes to accomplish the goal? 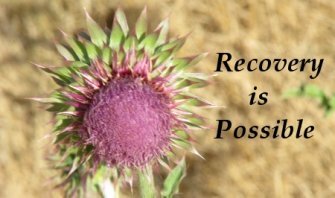 It is an important question because many people are “wanting” to escape the misery of alcoholism or drug addiction, but they may not be “willing” to do everything it takes to get on the road to recovery. A person’s “willingness” to do what it takes is the difference between being compliant and surrendering. What is compliance? It starts with the successful navigation of Step 1, the place where we admitted that we were powerless over (substance), that our lives had become unmanageable. It’s the “Ok, you got me, now what do I do?” Step 1 is a key to beginning the process as it identifies a problem. If there is no problem there is no solution. In this case, a person admits that they are powerless. “We came to believe that a power greater than ourselves could restore us to sanity.” The understanding that something outside of ourselves would generate the necessary power to deal with the problem, in this case restore us to sanity, does not necessarily assure us of a good outcome. It is mere intellectual ascent. I have a broken leg, so I go to the doctor because I believe the doctor can fix it. Now we start dealing with being “willing.” That is the line dividing Steps 2 and 3. In Step 3, we “made a decision to turn our will and our lives over to the care of God, as we understood him,” and this is different because we are letting go of our own agenda and allowing someone else to handle the details. We allow the doctor to set the leg and put it into a cast. We don’t tell the doctor how to do it, nor do we set all of the terms of treatment. We submit to the doctor’s experience and professional talents. Surrender may not be what you think it is. The word implies defeat, like General Lee handing his sword to General Grant at Appomattox Court House, the action ending hostilities between the army of Northern Virginia and U.S. forces, under Grant’s command, in the Civil War. There were terms and conditions, negotiated in a series of letters exchanged between the two commanders. Once the conditions were met, the southern soldiers and officers were allowed to simply go home. Actually, Lee’s action in accepting the terms set by Grant was more compliance. Both sides wanted peace, and both sides were grieved by the loss of life and neither really wanted to continue. It must also be mentioned that Lee’s agreement to Grant’s terms came as a result of a southern supply train being captured by a northern cavalry unit, under the command of General Phillip Sheridan. If Lee got his supplies, the fight would have continued. Under the circumstances following Sheridan’s success, the inevitability of the defeat ahead was obvious. They negotiated a cease to hostilities and Lee complied. What if surrender was not surrender at all, but empowerment? I can see why a person would believe surrender to be foolish. Surrender? Surrender to what? In Step 2, that power greater than ourselves could be many things, such as the relationship with loved ones, the energy one receives from a group of supportive people, or something else that has personal meaning. However, in Step 3, the operative phrase is “care of God, as we understood Him.” It implies that we are turning our will and lives over to something that is known to us. In many cases of Old Testament army battles, it is God who does the fighting, not the Israelites. God parted the Red Sea and swallowed up the Egyptian army. God brought down the walls of Jericho. The people were compliant, in that they did as God commanded, but they surrendered their own idea and allowed God to act. We also see Old Testament examples of when people turned from God in favor of their own path. The Apostle Paul wrote in 2 Corinthians 12:9-10, “That is why, for Christ's sake, I delight in weaknesses, in insults, in hardships, in persecutions, in difficulties. For when I am weak, then I am strong.” He has admitted his own weakness in the human condition, knows that a power greater than himself will win his battles and in turning over his will and his life to the care of God, has become powerful himself, by allowing God to provide the strength. Compliance is one thing. Many are compliant. But surrender is another. Not all find their strength and power to overcome, because they won’t allow it.